I love working in polymer clay. I have used the clay to create jewelry, miniatures and wall pieces. I enjoy learning different techniques and experimenting with surface treatments, including using stencils. It is a very flexible (no pun intended) medium, both in how it can be used and how artists use it to interpret their ideas. 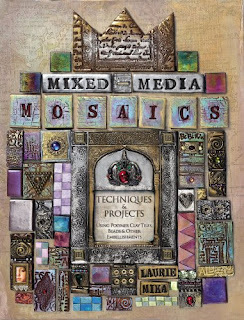 One book that I find compelling is Laurie Mika’s Mixed Media Mosaics because she has an unorthodox approach to the clay. She developed her own style, making the clay accommodate to her needs. Besides that, her work is beautiful and inspiring! The book is delicious eye candy. While it does have projects one can follow, with great instructions, for me this book is more of a go to when I need a jolt of creativity juice. I return to it often and always find something to propel me back into the studio. All that being said about polymer, the piece I was inspired to make has no polymer clay! I used paper clay instead, which I discovered a year ago and also love using since you can make very light but big pieces to wear. 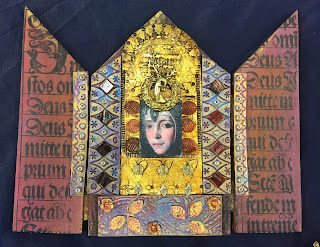 I have always been enchanted by dollhouses and I especially love the graphics of Victorian paper dollhouses. I happened upon a set of three papier mache houses at Michael’s and thought I would try to bring a little Laurie Mika to a paper dollhouse. I hope you enjoy the video I made of the process. And to top it all off, on my birthday this month I finally got to meet Laurie at one of her workshops which my best friend and I participated in at the lovely Queen’s Ink in Savage, MD. I learned so much that I am hoping to incorporate into my own work. Steph and I are already planning a time to have an art day to make more pieces. Here are photos of our creations. We are already both plotting to go to Laurie’s workshop in Mexico as soon as we can! What more could a girl ask for for her birthday! Laurie Mika's Pilgrimage to India Stencil *You have the chance to win this & more! One lucky winner will receive Laurie Mika's stencils plus a set of her Female Collage Image Sheets! Enter by commenting below by June 17th, 2018. One winner will be chosen at random on June 18th. Winner notified by email. This is amazing. Love it all. Such beautiful work, the stencils are exquisite. Clay is a medium that I am just so intimidated by, but I love the mosaics so I will have to try! I am so glad I found your product line - so unique. Love this so beautiful project! Great idea and clever work. Those houses are amazing!! LOVE!!! What a special treat to attend a workshop with Laurie! These stencils look amazing. Have been obsessed with Laurie Mika’s work!!! Beautiful!! Would love to play with the stencils ! Have an art club for girls - they would LOVE ❤️ to play with them too!!! Oh this is an AWESOME giveaway!!! Oh my! Live your work!! I love your houses! How creative and fun. I immediately bought the Mixed Media Mosaic book you refer to! I have wanted to wander into working with clay for a while. I can't wait to play! I love these! So many great ideas I want to try! These are so beautiful! I've recently purchased some paper clay to add to my mixed media creations. Wow! Great stuff! and Happy Birthday! Wow!!! This is so cool. Love the clay pieces! Such a creative project!! Laurie Mika is the most amazing teacher and artist. Would love to win this! I've taken a class with Laurie Mike before - she's fabulous!! 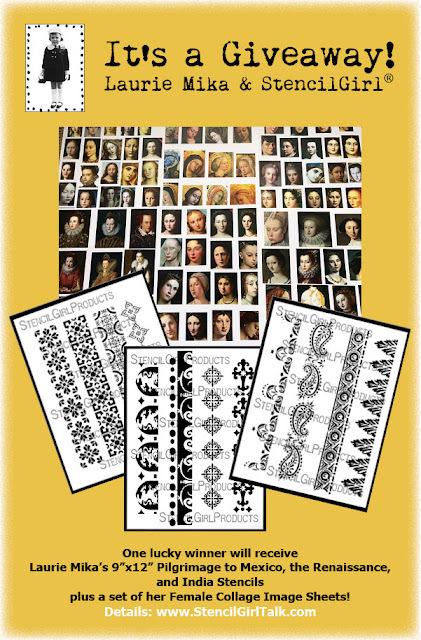 These would be great stencils to add to anyone's collection! Beautiful Stencils and portraits. Your book is so inspiring Laurie. gorgeous work, totally love paperclay.... and a chance to win stencils as well.... totally awesome!! fingers crossed! Such a HUGE fan of both Laurie and her work!!! Happy for new stencils. Loved taking Laurie's classes. I've long been a fan of Laurie's. As if the stencils weren't cool enough, but they throw in her images too? Best prize ever! 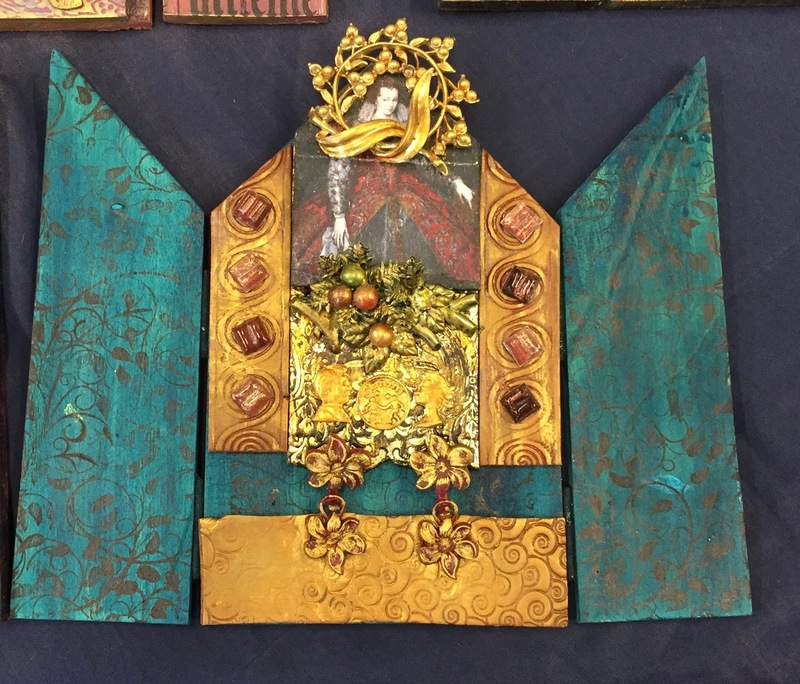 I was so fortunate to take a class from Laurie last summer! Phenomenal! Love her work! What a fantastic giveaway!!!!! Loved your video, Love Laurie Mika’s inspiring imagination and work. Take me to Mexico when you go. Yes please, I’d like to win! 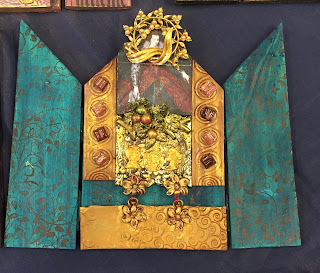 Great transformation with paper clay and color combinations! Love the wonderful houses and great stencils. Thanks for a chance to win. I love how you accomplished this. Gets the mojo going. Laurie Mike’s book is so good. I was lucky to take one of her classes as well. Your houses are fab. Such beautiful artwork! Awesome giveaway. I bet I've walked past these papier mache pieces a dozen times at Michael's but it took great imagination and some very cool stencils to transform them into these amazing dollhouses! Fabulous job! Nice prize package - thx for the chance to win. Absolutely love Laurie Mika and everything she creates. Her work is exqusite. Love the houses, gives me ideas! I love Laurie Mika's work and would love to win her stencils! Absolutely beautiful work and the stencils are perfect! I love Laurie Mika's work! These stencils are fab! I'm just learning to use stenils. Your products are beautiful! I get intimidated by 3d projects, but this inspired me to no end! I would love to get my hands on the book and the stencils!!! But, even if I don't win, thank you so much for sharing your project! What a gorgeous project. And those stencils... they're stunning.. thanks for sharing. 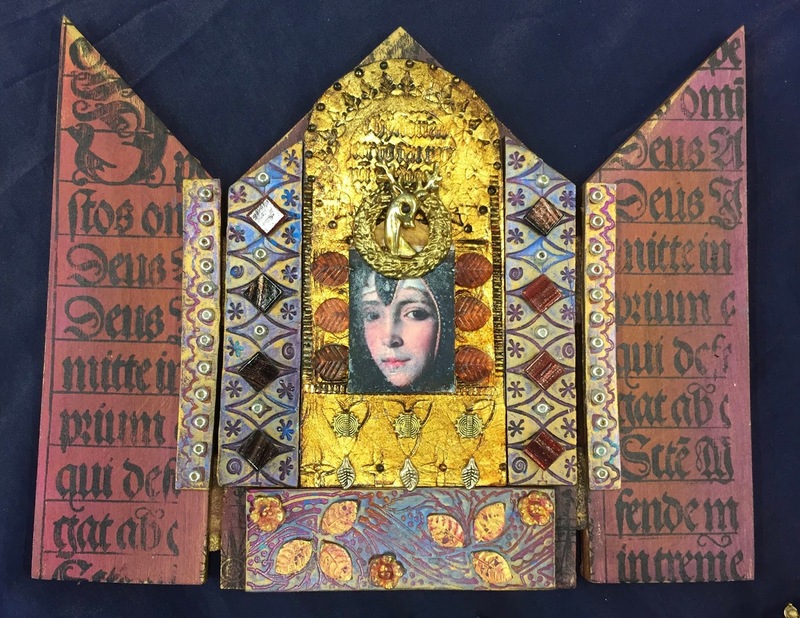 These are incredible designs and awesome projects! Thanks for the chance! Thanks for a chance to win these stunning pieces! 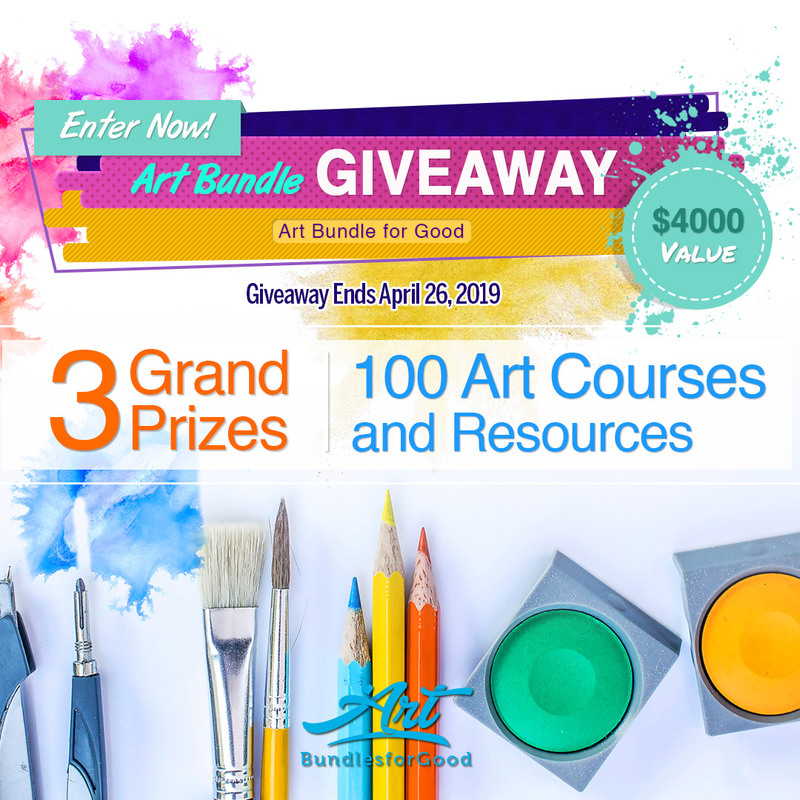 Such a fabulous and generous giveaway, would be truly over the moon to win this amazing prize pack ♥️ Truly inspirational projects by Laurie and seriously cool stencils. Just watched the video and my first response is: Wow!!! I wasn't going to post anything here as I'm one of those people who never win anything but, what the heck, might as well give it a shot. Thanks for the opportunity - those are truly amazing stencils. Thank you for showing stencils with Polymer Clay. It's wonderful to have this information for those of us that work with clay. This looks fun and amazing. I love it! Thanks for the opportunity to win this awesome set! Wow, amazing transformation of those little houses. Great video. I have had those paper mache houses in my studio for months. I now have inspiration of how to approach them. Winning this fantastic prize will send me on my way. Oooh, I've wanted at least one of these stencils since last summer! I never thought of using them with clay, though. sandral18706 at yahoo.com (that's a small "L" before the numerals). What a beautiful project! I will have to try this!. Thanks for the tutorial! I love those houses! And the idea of paper clay! One could also use Makins Clay--it is air dry and light--and it is really a good substitute for bake-able polymer! Everything is absolutely mind-blowing and awesome. So unique and so beautiful and so desirable. I love it all. Thank you for the chance to win. I love stencils and use them on almost every card I create. Laurie Mika and stencils! Who can resist? So gorgeous!! Love Laurie Mika's style. I love the houses / so fun !! What a perfect combination to create original work. Just beautiful! Your video has given my imagination such an incredible jolt! Exactly the direction I needed for some wooden cigar boxes I’ve been holding onto. Wow can’t wait to get started! Fabulous colours! I love the idea of using lightweight, easy to handle paperclay. Thank you! Thanks for the ideas on usous paper clay not to mention the opportunity to win!!! Addicted to polymer clay and Laurie Mika. Incredibly talented artist! !